For indoor use only,Tree topper measures 15L x 15W x 8.5H in. Care: Spot clean only.Dust with a soft, dry cloth. 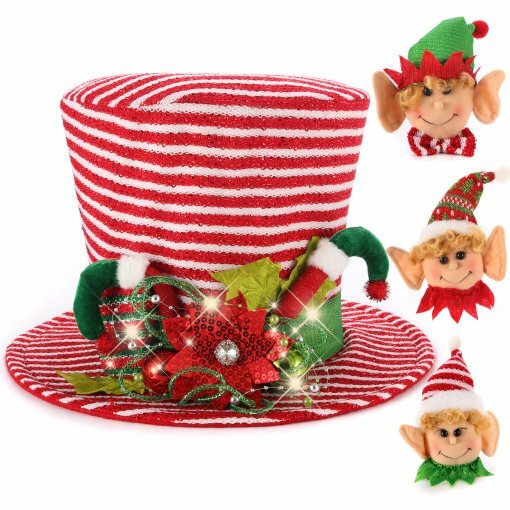 Reminiscent of the hat worn by snowmen, our Top Hat Tree Topper may not add magic, but it will add charm to your Christmas tree. It can even double as a centerpiece—and that is a bit magical, right? Plus, it collapses for easy storage and springs back into shape without saying abracadabra. Add traditional Victorian vibes to your Christmas tree with our Black Felt Top Hat Tree Topper! You’ll love the oversized red bow and frosty greenery!